Tom Brady just completed another regular season with the New England Patriots. Here's the numbers to prove he's the greatest of all time as the Pats head into the playoffs. Tom Brady ended an interview with sports radio station WEEI after a host asked him about his trainer and business partner Alex Guerrero, reports said Monday. According to a WEEI transcript, Brady cut his weekly appearance on the “Kirk and Callahan” program short when Kirk Minihane asked about reports that Guerrero flew on the team plane last week ahead of the team’s preseason game against the Carolina Panthers. "Tom Brady just ended his interview with us after (Minihane) asked him about Alex Guerrero's new travel arrangements with the Patriots this year," a tweet from the show’s official Twitter account said. Guerrero's seat on the team plane was revoked last year as head coach Bill Belichick curbed his privileges. Those moves reportedly caused tension between Brady and Belichick. "Yeah, I am not getting into all that," Brady said when asked about Guerrero. Minihane said Guerrero told him during Super Bowl LII in February that the reported tension had been "overblown." Brady responded, "I said I don’t want to get into it." Did Tom Brady Just Drop a Hint About Why He Missed OTAs? Pressed again, Brady said, "Alright, guys. Have a great day. I’ll talk to you later" and ended the interview. This isn't the first time Brady and the "Kirk and Callahane" hosts at WEEI have had public arguments. The quarterback hung up on them back in January after one of the station's DJs made disparaging comments about his daughter. Brady also abruptly ended a presser last month after a reporter asked him a question regarding fan speculation of Guerrero and Patriots wide receiver Julian Edelman, who was suspended for four-games after allegedly taking performance-enhancing drugs. 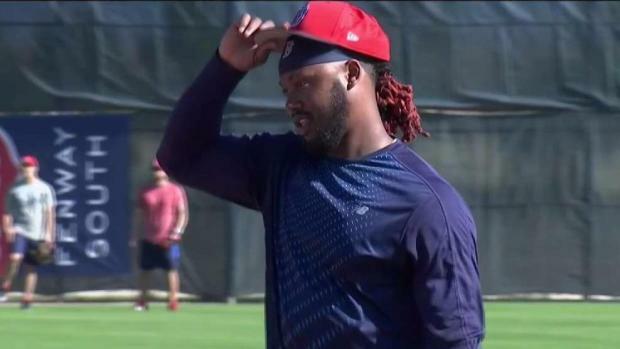 Hanley Ramirez is now using the TB12 method developed by Tom Brady and his controversial personal trainer.